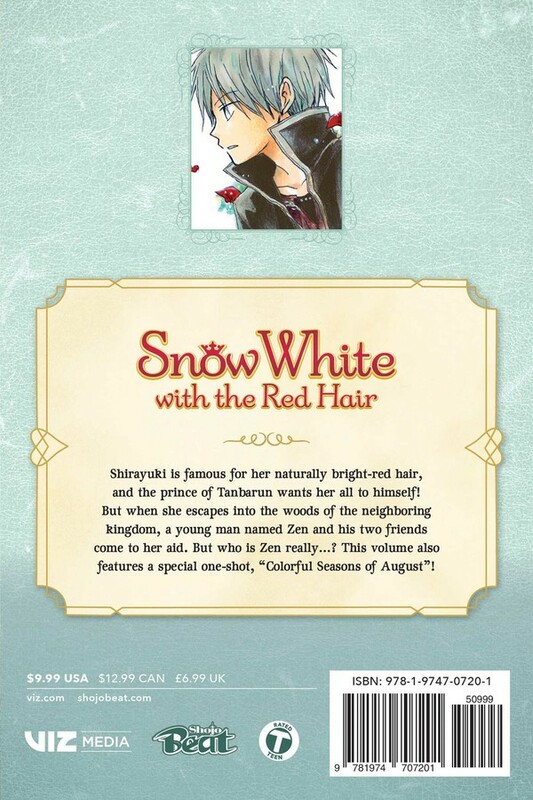 Snow White with the Red Hair manga volume 1 features story and art by Sorata Akizuki. A romantic retelling of a classic fairy tale about a beautiful herbalist and a lovestruck prince. 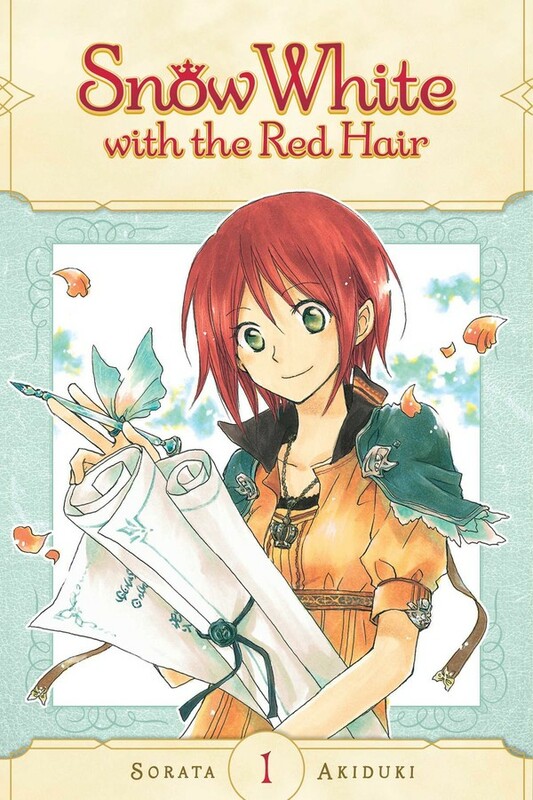 Shirayuki is an herbalist famous for her naturally bright-red hair, and the prince of Tanbarun wants her all to himself! Unwilling to become the prince’s possession, she seeks shelter in the woods of the neighboring kingdom, where she gains an unlikely ally—the prince of that kingdom! He rescues her from her plight, and thus begins the love story between a lovestruck prince and an unusual herbalist.